Welcome to Destinypedia! 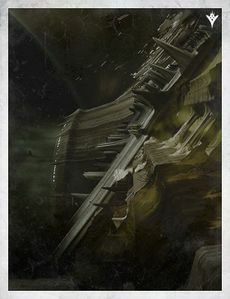 The Destiny encyclopedia and definitive source for Destiny information that anyone can edit. This wiki is edited and maintained by a dedicated group of Destiny fans! We are currently working on 3,673 articles about Bungie's latest series, and you can help! Sign up or login to receive exclusive features and customization. Check out the new pages, recent changes, and statistics to see what we've been working on. Don't know what Destiny is? Then read our summary here! If you've never been here before, you can find out more by checking out the About page. You can also find us on Twitter or our Discord Server! The Community Portal is the central place to find out what's happening on Destinypedia. Learn what tasks need to be done, what groups can be joined, and get or post news about recent events or current activities. Questions? If you have questions you can post them at the Main Page discussion or at the Community Portal discussion. Get to know Destinypedia's administators! Check out the forums to see what the community is working on, to give feedback or just to say "hi". Chat with the Destinypedia community on our Discord server. This is some great data here. I wonder if Ikora gives hugs to Ghosts. Heheh... anyways, nice work. Nominate and vote for your favorite quote! Nominate a featured article here! Add your own Did You Know?